Screen Northants – Short Film Festival. CARRIER-media Ltd is proud to have been able to provide some toys to dress the Film Festival Central window for Screen Northants. Pop in and say hi or follow them on twitter @ScreenNorthants and see what they're up to. Check out their website. Logistics – Getting your show on the road. It’s all about getting your Production on the road without fuss or stress. 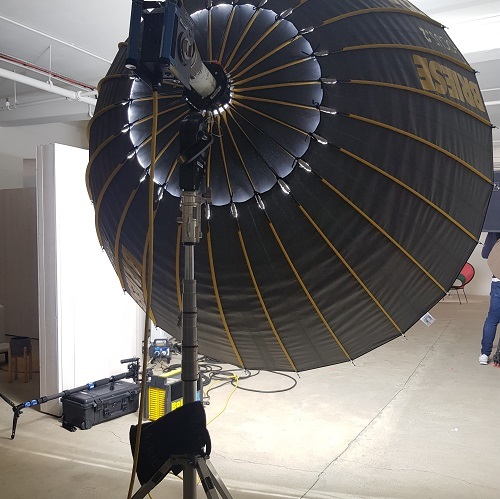 The unbranded CARRIER-media Lighting Van means that we can keep a low profile, which is welcomed by clients and appreciated by some locations. 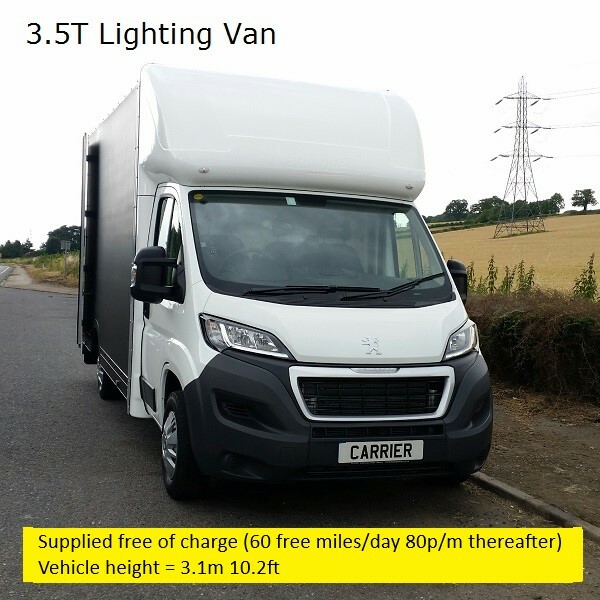 The smart new lighting truck, which resembles a flight case with a cab at the front, has built in stand racks to maximise usability within the space. Specially built for CARRIER-media Ltd complete with a 450kg loading ramp to speed load in and out. Millage Fees apply (30 free mile per day – 80p/m thereafter). Ask for an Estimate and supply the details of the location/s and I’ll provide an Estimate for your production including details about logistics costs in a nut and bolt, detailed Estimate. IT Upgrade - bookings upgrade. In line with the new Making Tax Digital requirements from HMRC we’ve invested in a new bookings system, which from March 2019 will see new look Estimates and Invoices. This will change the way information will be displayed and alter the information I provide on Invoices. If you have any questions about this please email me and I’ll be happy to talk you through these changes. KIT UPDATE – New Toys. These with be available to add to your job at just £175.00/ea/day pitching them in line with other rental companies. 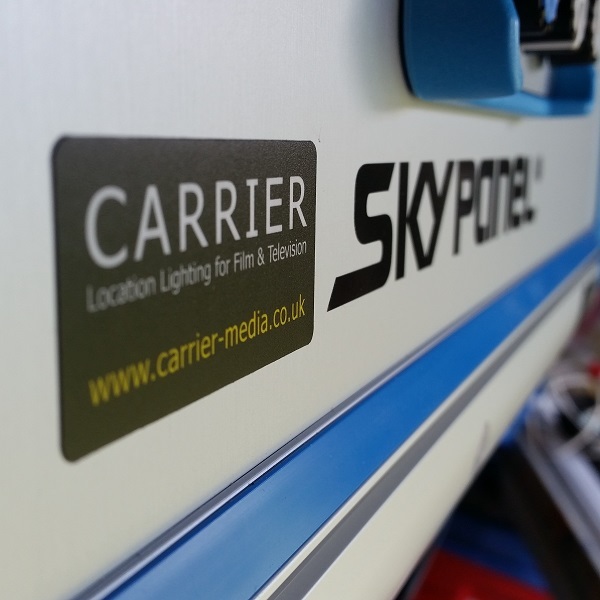 ARRI says, "SkyPanel ‘C’ (Colour) versions have the ability to adjust the correlated colour temperature anywhere between 2,800 K and 10,000 K, with excellent colour rendition over the entire range. Full plus and minus green correction can be achieved with the simple turn of a knob, and in addition to CCT control, vivid colour selection and saturation adjustment is also possible". Website Update - New Credits. Credits Page updated, with the addition of "UK Summer ’19 Campaign Shoot 2019", Commercial Content for Made.com. Don’t hesitate to contact me if you have any questions about my credits, experience or equipment. list or additional kit. Click on the image for more information about this project or check out the Credits page via the menu for information and updated news about projects. If you have any news about projects we’ve worked on together I’d love to hear about it and enjoy keeping the Credits pages up to date. Thank you for visiting. Help yourself to a personalised CARRIER-media Ltd. mug, pen or beanie. The mugs will be personalised with your name and your on-set beverage preference. Having a mug shows your wider preference to reduce the impact of filmmaking on our tiny planet, one polystyrene cup at a time. Having a beanie will mean you have a warm head. The pen is just a pen. The General Data Protection Regulation puts you in control of your data. In the normal course of business personal names and business contact details may be collected in order to answer emails, provide estimates and answer other enquiries. However, and this is what is new, we will be in touch with you to ask if we can retain your information and if you’re happy to receive occasional promotional email. Usually this will occur within 30 days of contact and if we don’t hear from you we’ll delete you from our database. ULEZ – Ultra Low Emission Zone is coming. Unfortunately, while the Maxi Mover we’ve built is a modern vehicle built to the Euro5 standard, Transport for London have decided that vehicles of this type, that are 2-1/2 years old, will be subject to the ULEZ "LOW" charge. From the 8th of April 2019, a "Daily charge - ULEZ (Low): £12.50" will be added to your invoice when you choose a location within or accessible via London’s Ultra Low Emission Zone. We’ve been in touch with Transport for London suggesting that this sets the bar too high, considering the cost and the planet’s resources required to manufacture new vehicles.